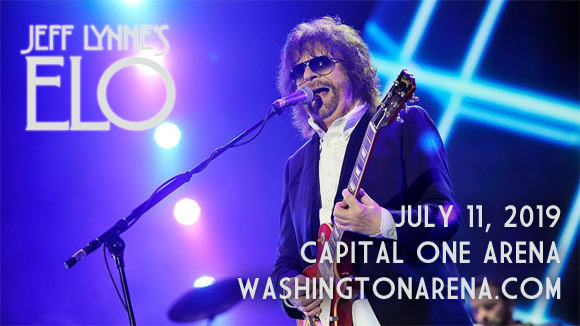 After the roaring success of their first extensive North American tour since 1981, which they embarked upon last year, Jeff Lynne's Electric Light Orchestra comes to Capital One Arena on Thursday 11th July 2019! Known for their experimental, melodic rock and roll numbers like the ever-popular "Mr Blue Sky", ELO are as engaging live as they've ever been and are a treat to see for any music fan! Tickets available now for this nostalgic breath of fresh air! Best known for a slew of Top Ten albums and singles throughout the 1970s and 1980s, English rock band Jeff Lynne's Electric Light Orchestra (commonly known as ELO) was formed in 1970 in Birmingham, England. The group originally consisted of songwriters and multi-instrumentalists Roy Wood and Jeff Lynne, and drummer Bev Bevan, but when Wood departed in 1972, Lynne began to write the majority of the band's original material and arrange and produce their albums, taking on the role of band leader. The group sold over 50 million records worldwide throughout its original 14-year stint of recording and touring regularly, and charted twenty Top 20 songs on the UK Singles Chart, as well as fifteen Top 20 songs on the US Billboard Hot 100, during that time. After a hiatus, the band reformed in 2014 as Jeff Lynne's Electric Light Orchestra. In 2017, Wood, Lynne, Bevan, and keyboard player Richard Tandy were inducted into the Rock and Roll Hall of Fame.